This week I took two days off mid-week and slapped a big ‘ol label on it. I called it my “mid-week weekend”. 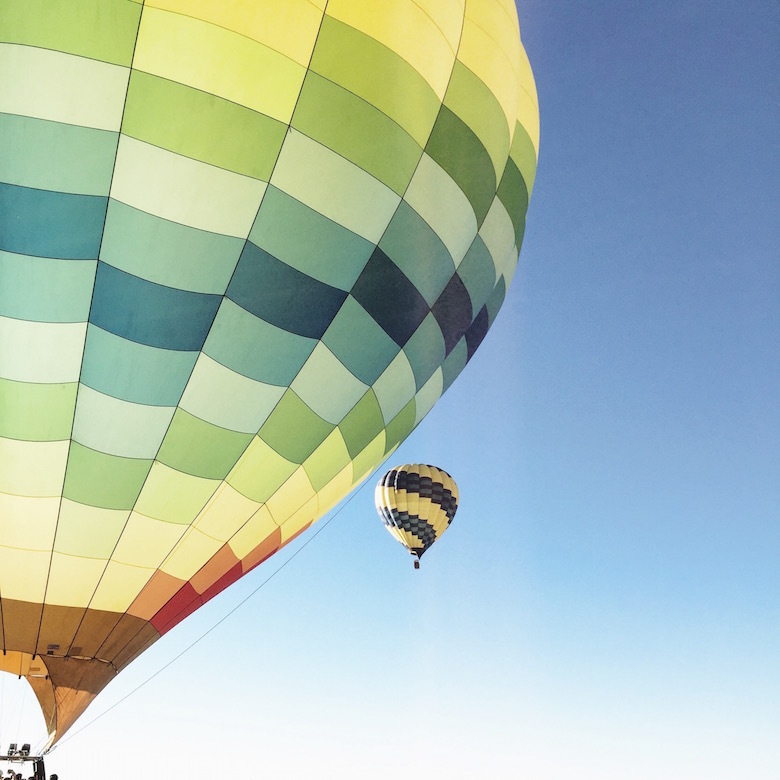 I was so excited to be invited by Apartment 34 for a a #LadyBossDayOff getaway at the luxurious Meadowood complete with a hot air balloon ride above the sunflowers of Yolo County. What a very special couple of days it was with some really cool women. After a little decompression, I’ve been thinking about what a “LadyBoss” means to me. 1. A lady Boss is a Boss. After I read the book #girlboss, I kept hearing people ask, why does the word girl have to be in it? Well, because #boss just doesn’t have the same ring to it. I also doesn’t cover the group we are talking about. I’ve always been proud to be one of many creative business owners in San Francisco, many of which happen to be women. I like our #ladyclub. 2. Lady Bosses are inspired by other Lady Bosses. On my drive home from this retreat, I stopped at a beautiful flower farm to pick up some roses from Fallon. While her highly coveted blooms are special, it’s her bright light and open spirit that makes her stand out. I found our short interaction inspiring in many ways. 3. A Lady Boss takes tips from other Lady Bosses. A lady boss is confident, works hard and shakes things up. She lets go of perfection and looks for the balance. So many Lady Bosses, like my pal Oprah, have had great insight as to what it takes to be a leader. I liked this easy read on 15 Career Tips from Smart Women on Cup of Jo. 4. A lady boss does not compete with other Lady Bosses. Some time ago a #ladyboss friend of mine sent me this article. I devoured it and it made me think about competition. It is SO easy to look at others and be envious and somehow translate their successes as personal failures. I’m aware that a few people probably looked at my instagram this week and felt those exact feelings. Remember that having those feelings is natural, just don’t let them drive your lady boss train. And, if that doesn’t do it for you, refer to this advice. 5. Lady Bosses want to be better bosses. Erin shared this article about How to be a Good Boss with us and I appreciated some of the notes. It is SO hard to be a good boss. It is really easy to look at someone and know what you would do differently, but when given the chance to do it yourself, oh wow. It’s hard. On that note, Happy Friday Friends.